The governmentwide effort to minimize program fraud could use sharper guidance from the Office of Management and Budget, a congressional watchdog concluded in a report that did not please the Trump White House. The Government Accountability Office, after interviews and a survey of 72 agencies on compliance with the 2015 Fraud Reduction and Data Analytics Act, said in a report released on Tuesday that agencies “had mixed perspectives on the usefulness of OMB’s guidelines for implementing” the law’s mandatory controls. The 2015 law was intended to harmonize agency approaches to exploiting data analytics to catch fraud in programs as varied as the Federal Communications Commission’s Lifeline program, the Energy Department’s contractors, the Centers for Medicare & Medicaid Services’ oversight of Medicare Part D, and the Bureau of Alcohol, Tobacco, Firearms and Explosives’ firearm applications. Fraud in 2017 was estimated by agencies at $8.8 billion. About 85 percent of the agencies indicated they have started planning how they will meet the anti-fraud law’s requirements, and about 78 percent said they have also taken steps to implement the requirements. GAO recommended that OMB enhance its guidelines for establishing controls and for reporting on progress as well as fully implementing the working group. Congress, it added, should consider extending the agency reporting requirements beyond the current 2019. 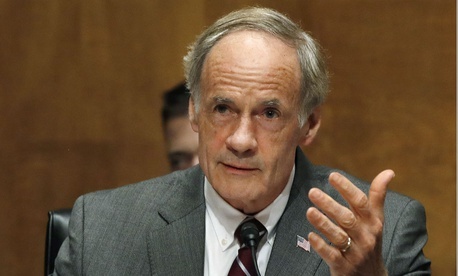 That rejection drew rebukes on Tuesday from three Democratic senators: Tom Carper of Delaware, Heidi Heitkamp of North Dakota and Gary Peters of Michigan.